The latest outbreak of illness linked to a Chipotle restaurant in Boston may have been caused by norovirus, not E. coli, the company said Tuesday. "There are no reports of illness from any other restaurants, and the pattern here looks like norovirus isolated to one restaurant," Chipotle spokesman Chris Arnold told Reuters. The cause is still under investigation by health officials. 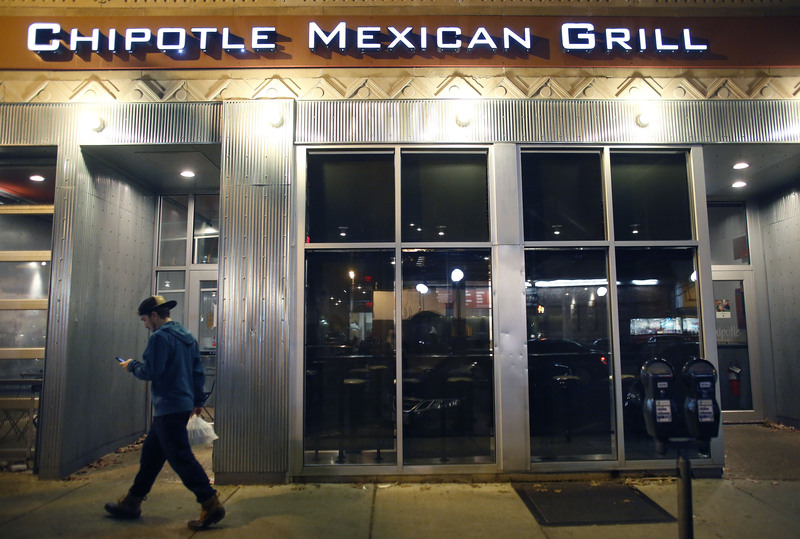 The Chipotle location in Cleveland Circle was shut down after dozens Boston College students who ate there over the weekend got sick, CBS Boston reported. The number of ill students climbed to 80 on Tuesday, school officials said. "All 80 students have confirmed that they ate at the Chipotle Restaurant in Cleveland Circle (Boston) during the weekend. All have been tested for both E.Coli and the norovirus. Test results will not be available for at least two days," Boston College said in a statement. The college said the students, including some members of the men's basketball team, complained of gastrointestinal symptoms, including vomiting and diarrhea. "We do not have any evidence to suggest that this incident is related the previous E. coli incident," Chipotle said in a statement released Monday. "There are no confirmed cases of E. coli connected to Chipotle in Massachusetts." The Centers for Disease Control and Prevention says at least 52 people in nine states were infected by an outbreak of E. coli linked to Chipotle restaurants first detected in mid-October. Twenty patients got sick enough to be hospitalized, but no deaths were reported. Chipotle shut down 43 restaurants in Washington state and Oregon after the E. coli outbreak began. Those locations have since been thoroughly cleaned and reopened. Additional cases of illness have been reported in California, Minnesota, New York, and Ohio. The company and health officials have so far been unable to identify which ingredient was the root of the problem. E. coli bacteria can often spread via contaminated fresh produce such as lettuce, tomatoes, cilantro or onions. Chipotle has announced new steps to tighten its food safety standards. Norovirus, a more common cause of gastrointestinal illness notorious for spreading rapidly on cruise ships, is highly contagious and can sicken people when food or surfaces get contaminated. Most recover within a few days. Chipotle said it was temporarily closing the Boston restaurant where the students ate and was working with local health officials to investigate the cause of the outbreak. "The safety and well-being of our customers is always our highest priority," the company said in a statement.